All Trash Oz is the perfect choice for you if you’re looking for a convenient, efficient and cost-effective solution to office rubbish removal in Sydney. Over the years, we’ve helped many clients like you in regards to all their commercial waste removal needs. We pride ourselves on delivering outstanding services that exceed others in the field. 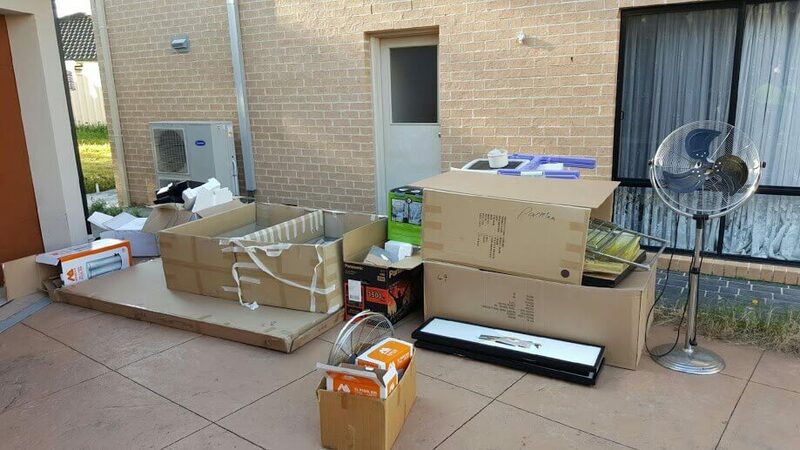 We are the experts when it comes to commercial rubbish removal in Sydney. Make the smarter choice with All Trash Oz. Our highly trained, experienced team has allowed us to develop a long-standing of clients who appreciate quality and value second to none. To see what our loyal customers have to say for yourself, take a look out our customer review page by scrolling to the bottom of the page. If you require the best services and solutions, contact us on 0400 061 061. We can also be reached through our “Get a Quote” form that is located at the top right of this page. There is no job too large or small for All Trash OZ. We are Sydney’s rubbish experts. Commercial rubbish collection is our specialty. It is not the job that we do, but how we do it. We are more than cleanup specialists, we are professionals that leave your grounds, establishment and environment clean and healthy. We pick up your rubbish, and don’t leave until we have your property clean, and in a healthy state. The interior of an office can quickly diminish with clutter whether paper products, office furniture, electronics, etc. Productivity and health can be jeopardised. Our job is to eliminate the clutter from your environment with eco-friendly solutions to your debris and rubbish removal services. We are cost effective and efficient and guarantee the best office rubbish removal services in Sydney. When you require the best services and solutions, you require All Trash OZ Sydney. We are the Rubbish Removal Experts that don’t waste time or the money of our customers. We have the years of experience, equipment and the men with the skill that makes a difference in your rubbish removal. At All Trash OZ, you don’t just have your rubbish removed, you have the enjoyment of a clean and healthy environment for the peace of mind of the smallest imprint being left on the environment. Our services are second to none, and cost efficiency is a guarantee. All Trash OZ team of Rubbish Removal men Sydney are the best industry experts in the business. Contact us today to discuss our services that are guaranteed. For more information on our Office Rubbish Removal services, contact us at the number below. We can also be reached through our “Get a Quote” form that is located at the top right of this page. For expert solutions to your rubbish removal, give the experts a call. Call All Trash OZ at the number below. We service Sydney wide Eastern Suburbs, Inner West, Northen Beaches, Western Sydney, The Hills, Sutherland Shire, St George. Guaranteed outstanding services at competitive rates.